The Partner Panel Interview is a feature of the Big 4, Magic Circle and large accountancy, law and consultancy firm’s partnership admissions process. Given that in your Partnership Panel Interview you will be interrogated by a number of partners on the merits or otherwise of your business and personal case, it can be a terrifying prospect. This is why in this blog post we look at the likely questions you will be asked in your Partner panel Interview. Partner Panel Interview: What is the purpose of this? How can I influence what questions I get asked? Before you get to questions you will often have delivered a 10-20 min presentation on your business case to the partners. One of the best ways to influence the questions you get asked is to use a Talk Sheet in your presentation and as the basis for your presentation. A Talk Sheet is a one-pager which highlights the key selling points of your business case, i.e. your 3-sentence sell. Click here to download a template for a Talk Sheet you can use in your Partner Panel Interview. This template was built and based on a client who we worked with and made partner in his Big 4 firm. By focusing on your 3-sentence sell in your presentation you will find that questions will naturally be focused on these. After all, your partners don’t know what they don’t know. Who is likely to be on the panel in your Partnership Panel Interview? What questions are you likely to be asked in your Partner Panel Interview? What could stop you achieving the targets you set yourself? 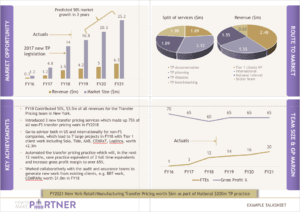 What evidence have you got to substantiate the forecasted increase in new business? What would happen if…. [insert regulation change or something like that], e.g. Your business case seems to be based on servicing one large audit client for the firm. What will happen in 2 years when we are forced to rotate off this client? Given that the UK financial services market seems to be moving to Europe as a result of Brexit, what’s your evidence to say that there will be a 10% increase in work from this sector in the UK? Some questions are there to understand whether you are thinking, feeling and acting like a partner already, e.g. If you make partner what would be the first few things you do? What would happen if you didn’t make partner this time around? Why should we make you up this time? After all, you seem to be doing pretty well as a director/senior manager? What do your team think about you going for partner? Many of the firms, e.g. PwC in the UK, are fairly hot on their potential partners being very self aware. They want to make sure that you understand your strengths and weaknesses, and how you will use or compensate for them. E.g. What areas of development do you have? And how will these help or hinder you to achieve the goals you have set out for yourself? 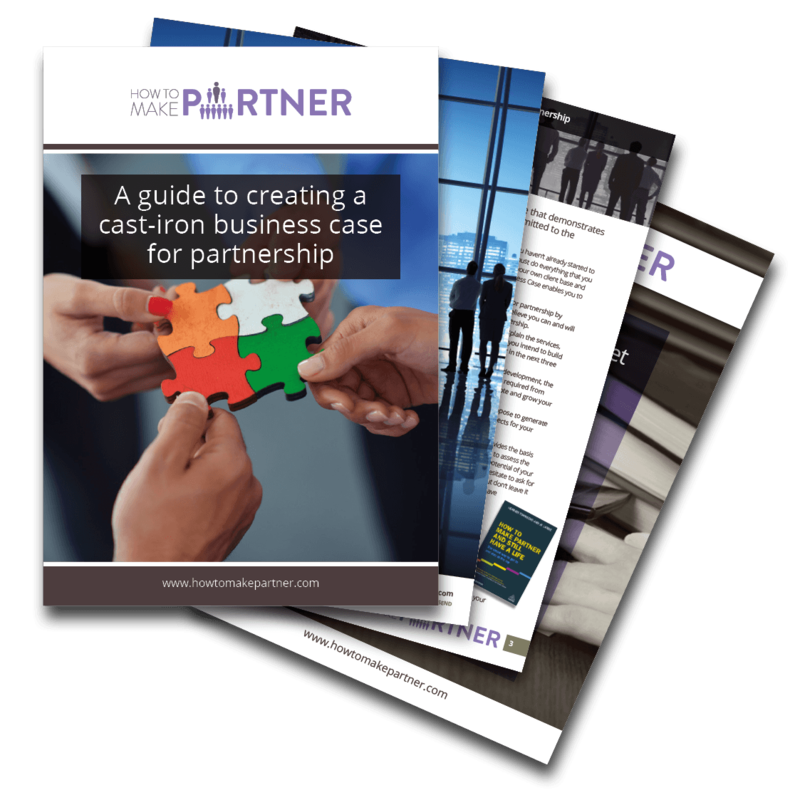 Download this free guide today to take the fear and mystery out of writing your business case for partnership.